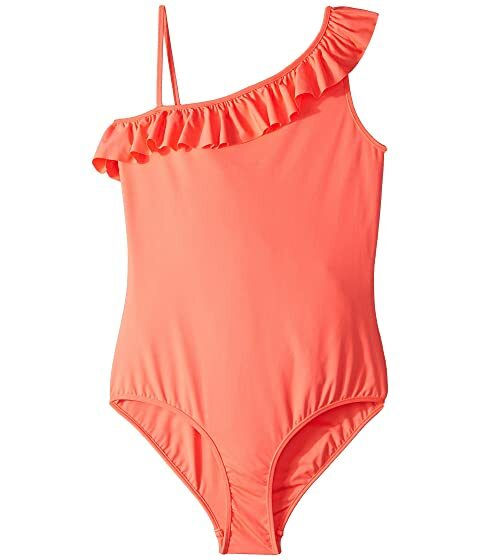 One-piece swimsuit in a colorful tropical color. Slim cami strap and wide strap with ruffle detail that goes along the neckline. Shell and lining: 83% polyamide, 17% elastane. Product measurements were taken using size 14-16 Big Kids. Please note that measurements may vary by size. We can't currently find any similar items for the Shoulder Ruffle Suit (Big Kids) by Milly Minis. Sorry!